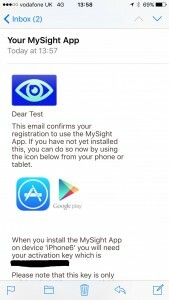 Since we’ve been running our MySight online booking service over the last year we’ve had some really positive feedback about how convenient and easy it is to book appointments and update your details at a time that’s convenient to you, and not just during our opening hours. This will then take you to your android or IOS store to download the free app. Enter the activation key supplied to sync your app with the details we have on file for you. You’ll need to set a 6 digit PIN to keep your data secure or fingerprint recognition technology if your device allows. 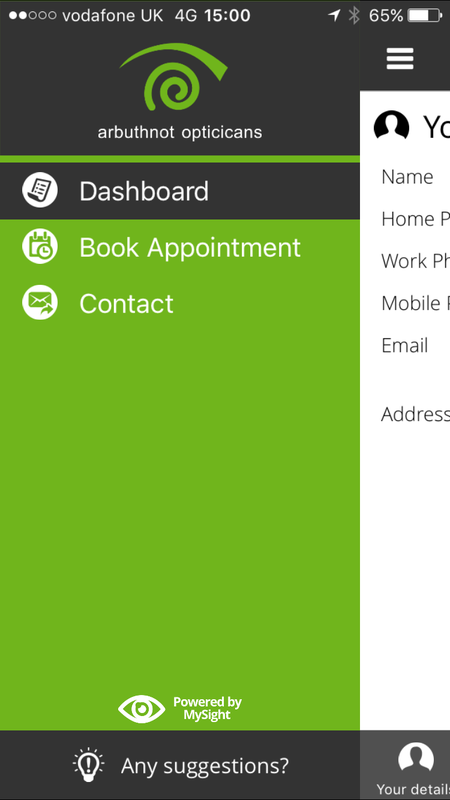 The app makes booking appointments, seeing when you’re due for tests, and viewing prescriptions, quick and easy. You can use the app to book appointments with whichever optometrist (optician) you prefer at either our Barry or Penarth practices. It’s even clever enough to know which practice you normally use!